I woke up earlier than usual that day. My body was still adjusting to the three-hour difference of Sydney to Manila. Early morning joggers were circling the area at the crack of dawn while I was sipping my morning coffee. The nippy morning air was creeping inside our room, it was yesterday since autumn was officially declared and our cozy room was starting to feel chilly. It was our first morning in Sydney and I still couldn’t believe that I’m outside my comfort zone—Australia was my first country out of Asia. It was last February when me and my favorite travel buddy tied the knot on a simple backyard wedding in Zambales. We originally planned on a winter trip in Japan to celebrate our union, honeymoon adventure kind of thing, but we had a sponsored deal on a Manila to Sydney flight via Scoot so we pushed through with our Australia trip—my first ever trip outside of Asia, a blissful happenstance after consulting with One Vine Migration (you may wanna check my guide on how to get approved on your Tourist Visa in Australia). Our Manila to Sydney Scoot flight had a 16-hour layover in Singapore which we totally loved as our cravings for Malay dishes were fulfilled. We touched down at Sydney Airport at half past nine in the morning. I was observing the view from my window seat and I was beaming with happiness. After the standard immigration procedures, we grabbed our backpacks and headed straight at the arrival hall. 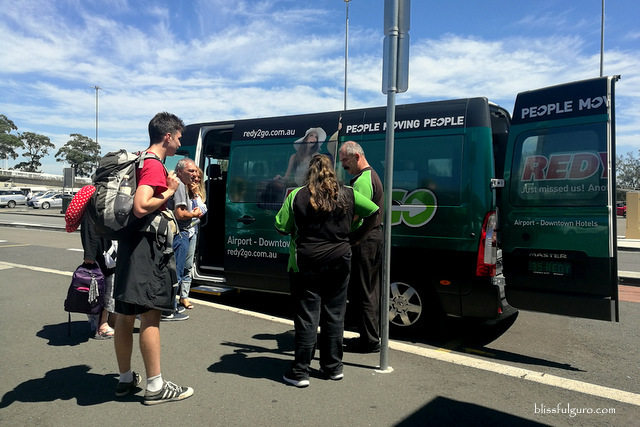 We pre-booked a shared van going to downtown Sydney via Klook App and all we needed to do was to present our e-voucher at the Redy2go booth at the arrival hall in which they exchanged it to a physical ticket. The process was easy and hassle-free as we need not to worry about our hotel transfer for as low as PHP770 per way per person, cheaper when you take the taxi or the train. We walked towards the designated station where a van was waiting for its passengers. We handed our printed coupon and boarded the shuttle. It was a smooth 45-minute ride from the airport to downtown Sydney. Our driver was nice enough to drop us off in front of our home for three days, Sydney Central Inn. Both of us were unsure whether or not the discreet signage was the way to our lodging. Located on an old structure at the heart of Sydney’s CBD, there was a small receiving area on the first level that serves as the reception. We were greeted by a lady who welcomed us and asked for our reservation number. We had a prior reservation which made everything easier. After the standard guest registration process, we were handed our key cards to the room, it was just the two of us but we were upgraded to a Family Room (check here for discounted room rates on Sydney Central Inn). 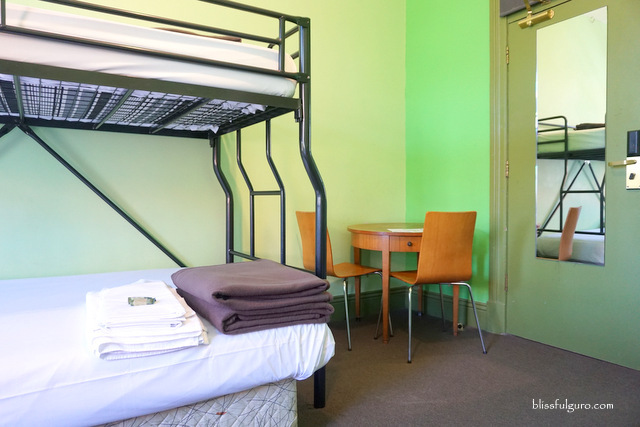 Given that it’s the cheapest accommodation in the Central Business District of Sydney, we weren’t expecting fancy stuff, we just needed our own space that will serve as our home base on our Sydney adventures (check here for discounted tours, transportation and activities in Sydney). Sydney Central Inn is located along Pitt Street in the Haymarket area. 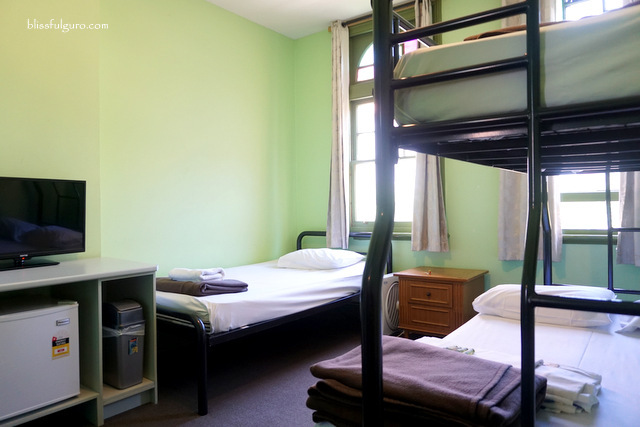 Housed on a century-old building (formerly known as the Chamberlain Hotel) it can accommodate up to 50 persons on their 15 lodging types—either for single, double, triple, family and dorm. Location is perfect as it’s near public transportations, pubs and clubs, restaurants and malls. 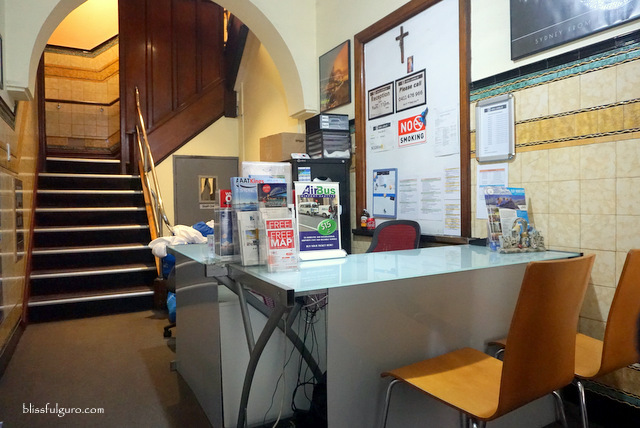 You can also arrange different tours and activities in and around the city at the reception area. 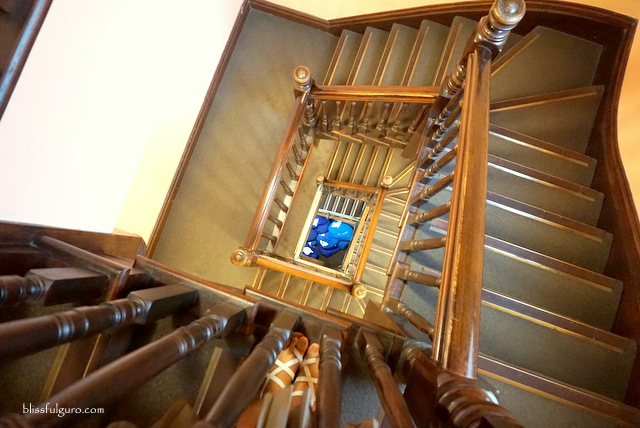 Our room was located on the third level of the building (technically, fourth storey as the second storey is considered as the first level) and we needed to climb up four flight of stairs to get there. Surprisingly, the room was spacious and could fit in four persons maximum. There was a double bed and a double-decker king and single bunk beds. The room is also furnished with a TV with local and international channels, mini fridge, wardrobe closet, coffee table and chairs, as well as a wall full-length mirror. There was no AC but we had an electric fan. Bath towels and fresh linen were also provided. The communal toilet and bathroom on our floor was clean and gender-specific. There’s hot and cold shower too. What I love the most was the view from our window—an unobstructed view of Belmore Park and the Central Railway Station. The cold autumn air was brushing against my skin as I peeked outside our old school window. 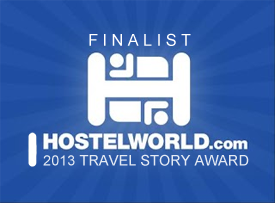 I heaved a sigh of relief as we finally settled in our room. Complimentary WiFi connection can be enjoyed at the common area located at the second level. 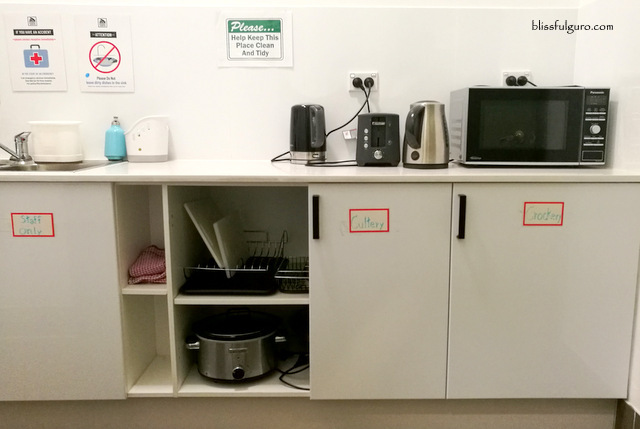 There’s also a fully-functional kitchen that is open 24 hours a day. A laundry area is also available for in-house guests with commercial grade washing and drying machines. We rested a bit after unpacking our staff and then went straight to a grocery nearby. It was my first ever trip outside Asia and I’m surprised on the food prices as I scanned the menu of the nearby restaurants. We bought some brekkie foodstuff that will lessen our food expenses for the next few days. 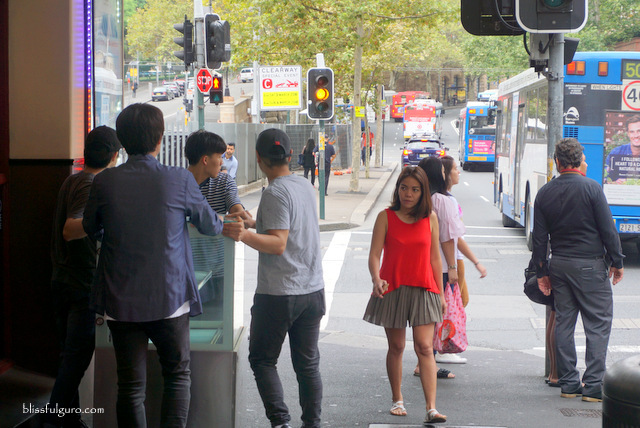 For three days, Sydney Central Inn served as our home base. We explored the nearby towns including the UNESCO World Heritage Area of the Blue Mountains, had a cruise tour along Sydney Harbour, and walked around the city doing our usual ‘getting lost’ stint. 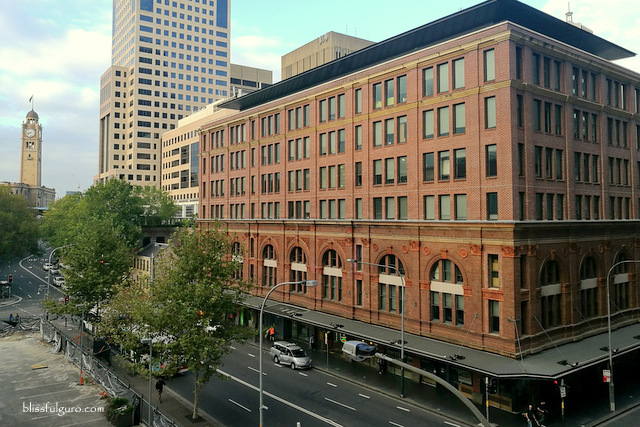 With their relatively affordable accommodation rates and ideal location, Sydney Central Inn is truly a gem in the middle of the city and the perfect base on our Sydney adventures.